My Life and Activities here in KSA..: Maggie..Manicure..
Maggie, a poodle, gets a pedicure at a dog spa in Cainta, Metro Manila. 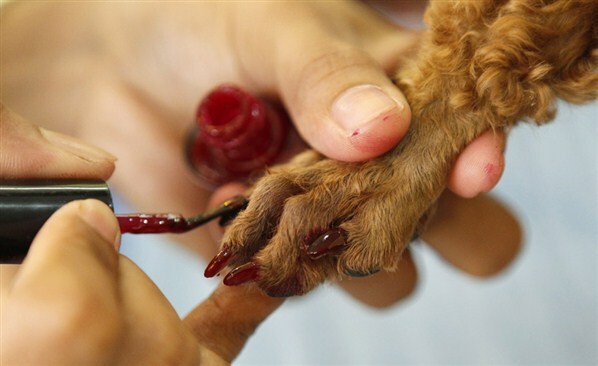 While dog grooming is becoming popular in major cities in the Philippines, local reports say about 500,000 dogs are killed as dog meat is considered a delicacy in some parts of the country. The Philippine Animal Welfare Act prohibits torturing and killing of dogs for commercial sale.